This is the part of the process that is critical to insuring your taxes are completed properly and in a timely manner. Although it may look a little overwhelming, we promise the more thoroughly you complete the following pages, the easier, faster, and more successful the process will be. Remember, missing out on a sizeable refund or paying out additional tax dollars you don’t actually owe, depends upon how you fill out this form. Take the time to be thorough and complete. The below numbers should all add up to 365. You must have paper copies of your logs. If you are audited, the IRS will want to see them. Did you purchase a new truck, or trade for a new truck in this tax year? If yes, please provide the bill of sale for that purchase. 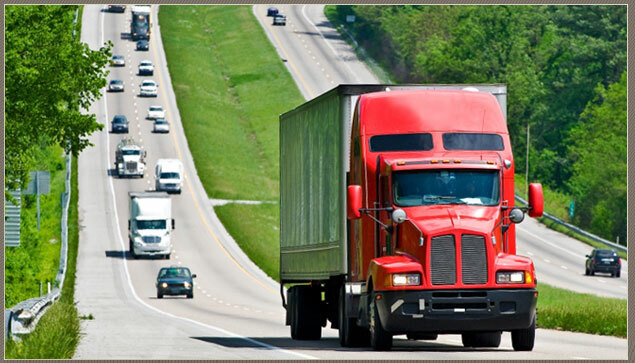 The new tax law does not permit company drivers to deduct expenses. Please put total dollar amount spent for this tax year in the space below the deductible item. If you are a TAP or TAPApp member, you may omit this section. Did you receive any additional misc income (gambling, jury duty, prizes) (Include Form)? Did you sell any stocks or investments in this tax year? Include copies of your year-end brokerage tax statement. Did you pay or receive alimony (not child support)? If you are a partner or shareholder in any entity please include the K-1. Did you make a contribution to a Traditional IRA? Amount of unreimbursed medical bill payments. Amount, if any, of health insurance premiums paid by you. Amount of vehicle registration paid in tax year for your personal auto? Did you own a home? If yes, include the mortgage interest statement. Amount of any real estate taxes for your home. Did you donate any cash or goods to charity? If so, enter amounts below. What did you pay for tax preparation services in last tax year? Did you buy a new home in this tax year? If yes, please include the settlement statement. Did you pay federal estimates this past tax year? Did you pay state estimates this past tax year? Were you provided health insurance through your employer? If yes, was the insurance deduction pre-tax? Did you purchase health insurance directly from an insurance company? Did you purchase health insurance through the Health Insurance Marketplace? WE WILL NEED A COPY OF THE 1095 FORM THAT YOU RECEIVED AS PROOF OF INSURANCE. IT WILL BE A 1095-A, 1095-B ,OR A 1095-C. THIS IS NEEDED TO COMPLETE THE TAX RETURN. Upon completion of the tax return, a copy will be sent to your current email address. The e-file signature forms will also be forwarded to you. When we receive the e-file authorization forms, we will e-file the tax return(s). If you need a paper copy of the tax return(s) mailed to you, please check the box. There will be a $3.00 charge to cover postage. 2018 Engagement Letter Dear Client: We would like to thank you for this opportunity to work with you. This letter is to confirm and specify terms of our engagement with you and to clarify the nature and extent of the services we will provide. In order to ensure an understanding of our mutual responsibilities, we ask all clients for whom returns are prepared to confirm the following arrangements. We will prepare your 2018 federal and state income tax returns from information you furnish to us. We will not audit or otherwise verify the data you submit, although it may be necessary to ask your clarification of the information. We will furnish you with questionnaires and worksheets to guide you in gathering the necessary information. Your use of such forms will assist in keeping pertinent information from being overlooked. The standard tax preparation fee is strictly for tax return(s) preparation. If we need to organize individual receipts, or provide any extra service, this will be charged at our normal billing rate of $75 per hour. It is your responsibility to provide all the information required for the preparation of complete and accurate returns. You should retain all the documents, cancelled checks and other data that form the basis of income and deductions. These may be necessary to prove the accuracy and completeness of the returns to a taxing authority. Our work in connection with the preparation of your income tax returns does not include any procedures designed to discover defalcations and/or irregularities, would any exist. We will render such accounting and bookkeeping assistance as determined to be necessary for preparation of the income tax returns. Trucker Tax Service, Inc. may, at its option, for any reason, automatically file for an extension on behalf of Client to extend the tax return filing deadline. If Client has not provided all documentation necessary by April 1st for the preceding tax year, Trucker Tax Service, Inc. will most likely file an extension on behalf of Client. The law provides various penalties that may be imposed when taxpayers understate their tax liability. If you would like information on the amount or the circumstances of these penalties, please contact us. Your returns may be selected for review by the taxing authorities. Any proposed adjustments by the examining agent are subject to certain rights of appeal. In the event of such government tax examination, we will be available upon request to represent you. You may be charged our normal billing rate of $75 per hour, and expenses incurred. Upon your understanding and agreement of this engagement letter, please sign below and return it to our office promptly. Very truly yours, James K. O’Donnell Trucker Tax Service, Inc.
To send this information to us, press the submit button below, both Trucker Tax Service and you will receive all this information by email. Press print before Submit if you would like a printed copy. If you are not a returning client, please send us your previous year's tax return.